Which fictional scientist character was inspired by this real scientist with a penchant for balloons? Professor Cuthbert Calculus, from the Tintin series, inspired by Prof Auguste Picard. Auguste Piccard, inspiration for Cuthbert Calculus. Professor Calculus from Tintin comics! Prof Cutberth Calculus, inspired by Auguste Piccard. Professor Cuthbert Calculus is the fictional scientist. Real scientist is Auguste Piccard. 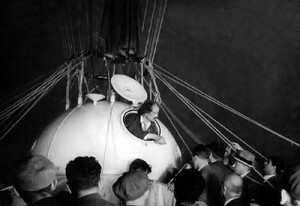 Auguste Piccard, the inspiration for Professor Calculus. Auguste Piccard was the inspiration for Professor Cuthbert Calculus in The Adventures of Tintin by Belgian cartoonist Hergé. 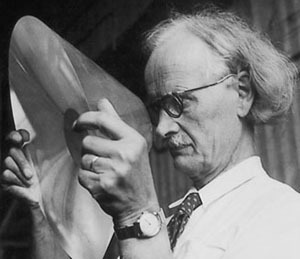 Auguste Piccard was the inspiration for Prof. Cuthbert Calculus. Auguste Picard inspired Professor Calculus. Auguste Piccard inspired the adorable Prof. Cuthbert Calculus in Tintin. Professor Cuthbert Calculus from Tintin, inspired by Auguste Piccard.